Learn more about our Organization of the Month! RespectWeek Guide 2017, from the loveisrespect blog. Teen dating violence awareness advocates loveisrespect educates young people about abusive relationships. 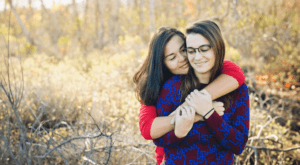 February is Teen Dating Violence Awareness Month and the National Runaway Safeline (NRS) is proud to announce this month’s Organization of the Month, loveisrespect, an initiative of the National Domestic Violence Hotline. Loveisrespect serves the purpose of educating and empowering young people about abusive relationships. They offer confidential support and information through live chat, texting and calls to their hotline. Furthermore, they aim to be a safe space for young people while also providing information on healthy and unhealthy relationships. In addition, Loveisrespect also works to educate adults in the community about signs of unhealthy or abusive relationships. Our Director of Programs, Gordon Vance, participated in the original National Teen Dating Violence Hotline (NTDVH) National Advisory Board beginning in December, 2006. The NTDAHL started in February, 2007, with support of Liz Claiborne Inc. Gordon conducted a training for them: “Effectively Recruiting, Training and Managing Young Volunteers” in March 2008. The advisory board continued thought 2012 and merged the NTDAHL with a group called “Love is Respect,’ as the first 24-hour hotline for teens in abusive or violent relationships. In 2011, with a newfound partnership in Break the Cycle, they grew stronger and added a 24-hour text service. Former Vice President Joe Biden was the first person to use the service by sending a text message to an advocate. “What is Respect in a Healthy Relationship?” from the loveisrespect blog. We are pleased to have such a great partnership with Loveisrespect and look forward to the continued work we will do together. We utilize each other’s databases, and because of that, each organization continues to work to make sure the youth who contact them are feeling safe and supported. If you want to get to know more about loveisrespect, check out their website here. 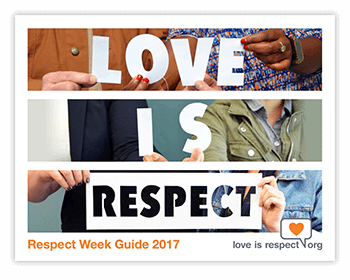 Loveisrespect is one of the nearly 7,000 resources in NRS’ database.